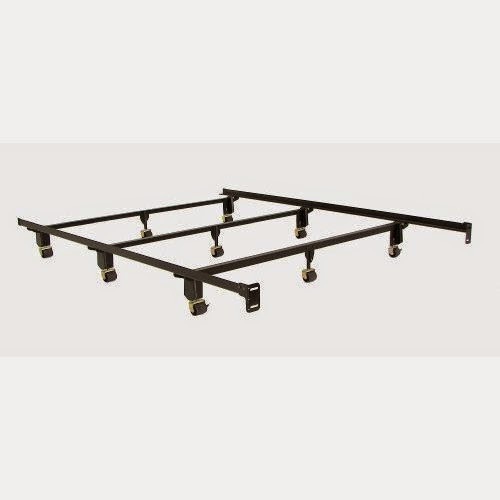 Serta stabl-base ultimate bed frame – ser-4069br. 7.5-inch high, california king (72-inch wide), center support – 10 legs with rollers. An extra heavy-duty bed frame strong enough to support all bedding. Made of heavy duty high carbon, recycled railroad rails with oversized side rails to provide additional support. Unique wedge lock leg design becomes even stronger with use. Solid rivet construction increases durability. Rounded corners provide safety and recessed legs offer additional toe room. Heavy-duty brackets. Easy to assemble, no tools required. Lifetime warranty. Thanks for reading Serta Stabl-Base Ultimate Bed Frame, Buying a bed frame is all about seeing how it will work in your home. Know what you want, and you will have a much more positive experience when making the purchase.